Team USA vapor balls with the American flag, for extra distance! 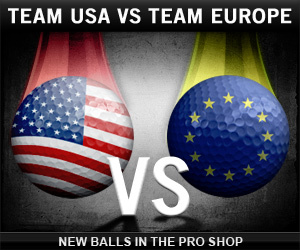 Team Europe vapor balls with the European flag, for extra distance! WGT Cup, enter and get a free Team Vapor Ball! 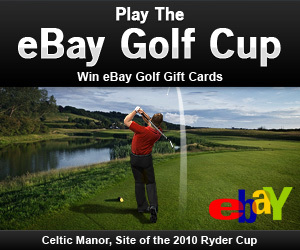 eBay Golf Cup, enter for a chance to win eBay Golf Gift Cards! The real Ryder Cup at Medinah runs Fri thru Sun, on the Golf Channel, NBC and your local broadcasters. Visit the official site for more information. Play this free 9-hole challenge game for your chance to win eBay Golf gift cards to buy real golf equipment at ebay.com. This closest-to-the-hole, unlimited play golf tournament is hosted on Celtic Manor, site of the 2010 Ryder Cup. Play now thru 10/31 for your chance to win. As tune-ups go, playing for $10 million is nice work if you can get it. Tennessee’s Brandt Snedeker, who will make his Ryder Cup debut this week, got it all Sunday in Atlanta. By winning The Tour Championship and the FedEx Cup at historic East Lake, Snedeker bagged a cool $10 million in season-ending playoff dollars along with $1.44 million more for winning the tournament proper. All of which makes him one rich, ready Ryder rookie. And all of which makes U.S. captain Davis Love III’s grin wider than the first fairway at the Old Course. “I had complete confidence in what I was doing,” Snedeker said, moments after closing with a 2-under 68, three ahead of runner-up Justin Rose. So, too, did American skipper Love, who raised more than a few eyebrows earlier this month when he made Snedeker one of his captain’s picks. So, it’s on to Chicago and the Ryder Cup where the plot will thicken and the pace will quicken in the always-charged matches that begin Friday at Medinah No. 3. Thirteen of the players who finished T15 or better at East Lake will be playing in this Ryder Cup. Rory McIlroy and Tiger Woods wound up second and third, respectively, in the final FedEx standings. Both paid a steep price for driving it all over Atlanta all weekend. One last thought in advance, Medinah: The 15th hole has been shortened and is now a perfectly situated drivable par 4 for match play. Expect fireworks there. 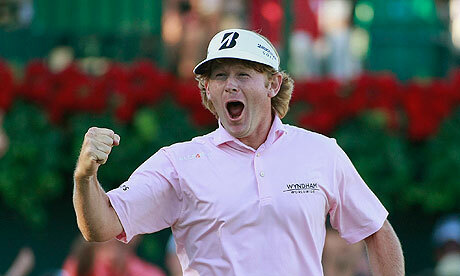 And don’t be surprised if red-hot Brandt Snedeker is the one who lights the fuse. 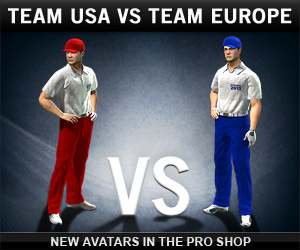 New limited-edition Team USA and Team Europe virtual golf balls are now available in the WGT Pro Shop. September is Ryder Cup Month, so while you watch the world's top 12 players from the USA and Europe compete at Medinah Country Club, support your country with either the Team USA or Team Europe golf balls. These special edition balls are based on the popular GI-SD model with additional distance, spin and a vapor trail for better visibility. Qualifying players in USA or European countries can also get 1 free Team USA or Team EUROPE virtual ball just by entering the free WGT Cup online tournament, going on now thru 9/30. Visit the official tournament site for more information. In honor of Ryder Cup month, World Golf Tour is hosting The WGT Cup on Celtic Manor, site of the last Ryder Cup in 2010. 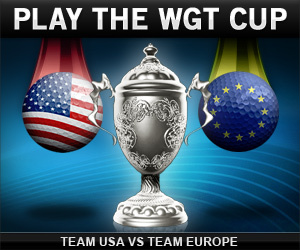 WGT players from USA and European countries will automatically receive 1 free Team USA or Team EUROPE virtual golf ball just for entering this tournament. Post your best score in this closest-to-the-hole challenge at Celtic Manor thru Sunday 9/30 for a chance to win more virtual balls. Anyone can play, but only players from USA and European countries are eligible for the free ball and ball prizes. See tournament rules for details. And don't miss the Ryder Cup at Medinah Country Club, September 25-30, to see the best golfers from the USA and Europe compete for this year's title. Visit the official tournament site for more information. Josh Sens at Golf.com recently published a great list of the "Toughest 18 Holes in Golf." See full list and photos. World Golf Tour is excited to have four of the WGT course holes represented on this list. You can experience for yourself the challenges of each hole by playing any of these four holes free on World Golf Tour. No signup required. Paring all four of these holes would impressive. Good luck! The famous "Road Hole Bunker" from the birthplace of golf. It's nearly impossible to keep your downhill approach shot on the green. The Black course at Bethpage is infamous for a reason, and this hole is no exception. This long hole features a fairway bunker that even the pros struggle with. 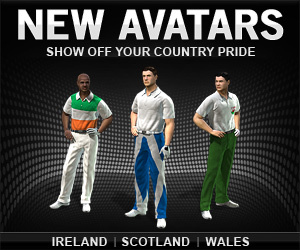 We've added more country avatars for players from Ireland, Scotland, Wales and Australia. These new avatars are wearing their national flags and colors and each is available in 6 different genders and races, Male 1-3 and Female 1-3. 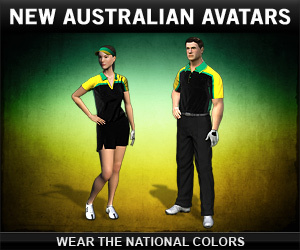 Now in the Pro Shop, pick your favorite "Irish," "Scot," "Welsh" or Australian "Green & Gold" avatars and show off your country pride. United States "Stars & Stripes"
The new countries were chosen by WGT Facebook fan voting, so be sure to LIKE us on Facebook for upcoming fan votes and other World Golf Tour news. 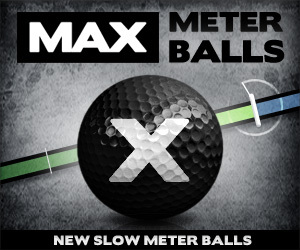 Introducing MAX, a new line of virtual golf equipment from WGT, starting with the new MAX Meter Balls. These virtual golf balls offer the slowest WGT swing meter, giving you the best chance to "ding" more shots with a maximum 5 rating in Feel, along with more distance and more spin. Hit more perfect shots, straighter and longer. ...and all new MAX equipment will unlock at tiers to better align with player skill levels. There can be no doubt, no question, no dispute. Rory McIlroy is the No. 1 player in the world, and given the kind of golf he has displayed in the last month, he will hold that spot for some time. McIlroy won the BMW Championship on Sunday for his second consecutive PGA Tour FedEx Cup playoff event and his third victory in his last four starts, which includes the PGA Championship in August at Kiawah Island. He is by far No. 1 in points in the three playoff events going into The Tour Championship next week at East Lake Golf Club in Atlanta. The playoffs take a week off following the BMW Championship. 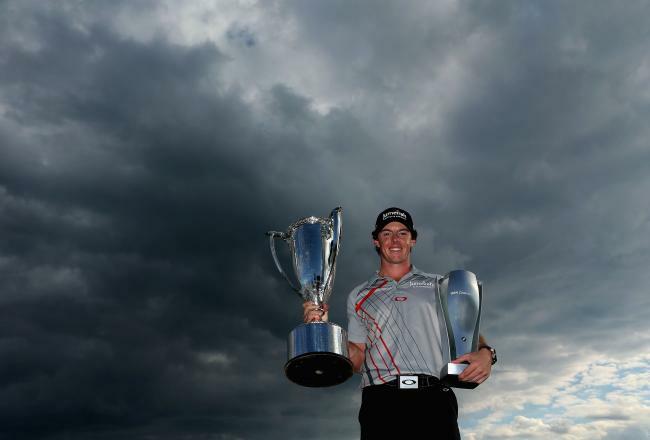 McIlroy has now won four events on the PGA Tour this year and is a certainty for Player of the Year honors. And he can win the $10 million bonus for winning the FedEx Cup playoffs at East Lake. McIlroy shot a final-round, 5-under 67 to post 20-under-par 268 at Crooked Stick Golf Club – site of the 1991 PGA Championship – good enough for a two-shot victory over playing companion Lee Westwood and Phil Mickelson. This playoff event created the most buzz because of the quality of the field that was on the leaderboard most of the last two days. Joining the top three players in the fray were Dustin Johnson, Vijay Singh, Tiger Woods and Adam Scott all pushing toward the lead at some point during the weekend. But McIlroy put his nose in front with four birdies in his first 10 holes to move ahead of 54-hole co-leaders Singh and Mickelson and took the lead for good with birdies at the par-5 15th, which he reached in two, and a birdie at the par-4 16th. He had a three-shot lead going into the final hole and made his first bogey in 27 holes for the final winning margin. Woods shot 68 on Sunday to tie with Robert Garrigus (69) for fourth at 17 under. Johnson and Scott were next at 16 under. Singh shot 73 and went from safely inside the top 30 to outside the list with three bogeys in his last five holes. Bill Haas, last year’s FedEx Cup champion, fell outside the top 30 and failed to advance to The Tour Championship with a 78 on Sunday. Garrigus and Ryan Moore were the only players outside the top 30 to play their way in, replacing Haas and Kyle Stanley, who fell out. 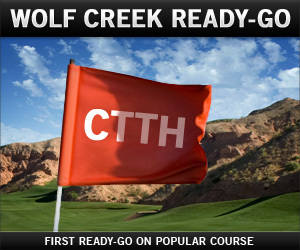 Play Wolf Creek in its first ever Ready-Go CTTH tournament! Wolf Creek is one of the most popular virtual golf courses on WGT and is now available to play as a Ready-Go CTTH tournament, running all this month. Last month, we announced Ready-Go tournaments as 9-shot closest-to-the-hole games. Now we've introduced Wolf Creek in this format for the first time. Enter for only 100 WGT credits, and the top 30 of 50 players earn credit prizes, with 6X credits for first place. These fast tournaments are limited to just 50 players and close 3 hours after the last entry. Play them over and over for your chance to earn WGT credits quickly. Ready-Go's are paid online tournaments on World Golf Tour. There's always a Ready-Go tournament available, and the courses change every few weeks, with entry fees from 50 to 1,000 WGT credits.